Itty Bitty Hope has a life of service as a therapy animal ahead. camera (Linda Woods) Itty Bitty Hope, a miniature horse, lives at Mini Hooves of Love. 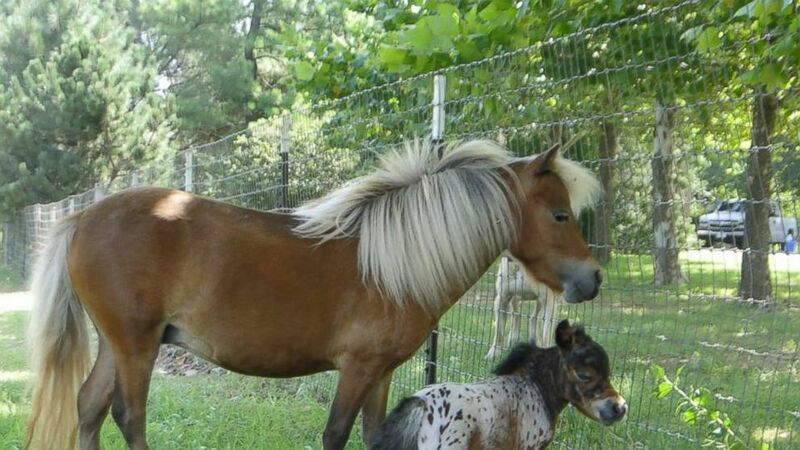 Even for a miniature horse, Itty Bitty Hope is pretty small. Her height at birth -- just 14 inches -- was tied with the record of the smallest horse on record, according to her owners. (Linda Woods) Itty Bitty Hope, a miniature horse, is said to be tied for the smallest horse ever born, weighing in at 13 pounds at birth. 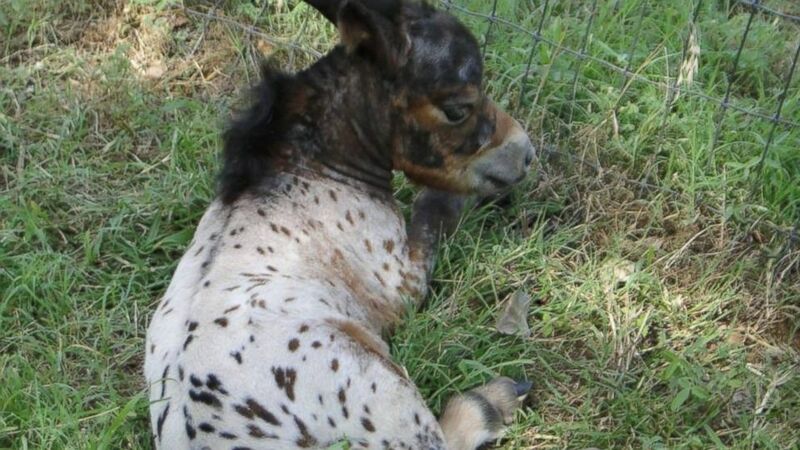 "She'll be able to navigate around hospitals and nursing homes and medical equipment more easily," said her owner Linda Wood, who runs the Mini Hooves of Love Miniature Therapy Horses non-profit with her husband Jim Wood. 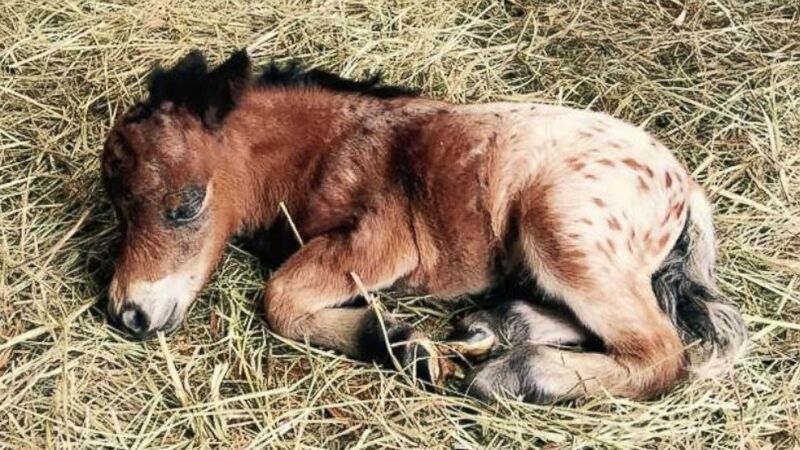 (Linda Woods) Itty Bitty Hope, a miniature horse, lives at Mini Hooves of Love. "Hope" as they refer to her, will also be great with the many kids she'll be visiting. The Woods came to be Hope's people parents through and old-fashioned barter. A woman who breeds miniature horses hoped Jim would build her stalls, and offered the Woods their pick of any of the three pregnant mares. They chose Jazz, Hope's mother, because she was the smallest and would have the best chance of having a small baby. The Woods got into therapy without exactly meaning to. They were showing their miniature horses when a friend who runs a horse therapy farm with large horses asked them to bring some of their minis to an event. Since then, their horses spend their time visiting hospitals, hospice care and the Ronald McDonald House in Dallas. Kids with Down syndrome, autism and other developmental delays come to visit them. One of their first visits was a hospice care for a baby born with Trisomy 18, a fatal genetic condition. The baby's mom said she just wanted her child to have the chance to touch a horse before she passed. It's that big kind of comfort that little Hope will bring people in her life. "If you can imagine a child been doctor of hospital all day, having a bad day, as soon as they see the horse their mood changes, their blood pressure drops. Everything about them changes and they have a big smile on their face," said Jim Wood. "It just makes your day." Linda Wood added, "Many people who are in nursing homes now are of the age that they had interaction with horses when they were young. One man who had been a farmer had tears in his eyes as he pet one of the horses, he said he hadn't touched a horse in 16 years." In another anecdote, a woman whose nurses said was unable to move reached out and stroked the head of one of the miniature horses while the nurse stood by in shock. Hope is still with her mom at the breeder and since she is nursing, she can't be away from her mom for more than an hour or so. But there's a hospice call the Woods are thinking of taking her along on coming up, as long as mom can come, too.